As the countdown to welcome 2019 and bid adieu to 2018 begins, the sky is all set to dazzle with fireworks as the Arizona firework ban on using certain fireworks stands lifted from December 24 to January 3. The City of Phoenix website states the “new fireworks law” that regulates the buying, selling and use of fireworks in Arizona. However, the new law bars novelty items like snap caps, snappers, snakes, glow worms, party poppers, sparklers, and toy smoke devices. These items have been considered permissible all the time. As far as the sale is concerned, ‘permissible consumer fireworks’ are allowed to be sold from May 20 to July 6 and December 10 to January 3. Moreover, these fireworks can be used from June 24 to July 6 and December 24 to January 3. In case of implementation of Stage One Fire Restrictions by a Federal or State agency, its use too may be restricted. Permissible fireworks are illuminating torches, cylindrical and cone fountains, wheels, flitter sparklers, ground spinners, ground sparkling devices. The website has also put up a chart to help you ascertain whether or not a product is legal to use. Under state law, permissible fireworks can only be sold to persons above 16 years of age. If you are buying, selling or using fireworks outside the permissible dates (cited above) then be ready to cough up a fine of $1,000. Setting off fireworks on preservation land owned by the City of Phoenix is prohibited. The Class 1 Misdemeanor will invite you a penalty of $1,000. A Fire Prevention tent permit is mandatory for sale of permissible consumer fireworks in temporary tents spread over 800 square feet. At the site of sale, Per State law signage is required. Also, a display needs to be put up stating that purchases of permissible consumer fireworks are prohibited to persons under the age of 16. Moreover, the Planning & Development Department Zoning Division may ask for additional permits as also zoning approval. 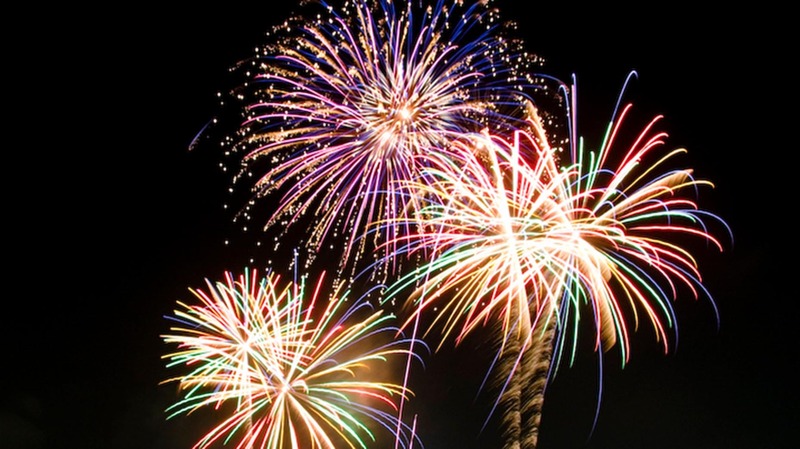 You may report the use of illegal fireworks to the Phoenix Police Department at 602-262-6262. Citizens may voluntarily turn over illegal fireworks to Fire Department personnel at fire stations. Citizens need to exercise caution while setting off fireworks, as any irresponsible, hasty behavior can endanger lives and prove fatal. Since fun and responsibility go together, officials would want revelers to follow the rules amidst all the cheer and merriment as they step into 2019. First and foremost, children should never be allowed to be near any fireworks. Make sure you are not under the influence of drugs or alcohol while bursting them. Keep on-lookers at a safe distance before you light fireworks and also, remember to don those safety glasses. A golden rule: Fireworks should always be lit outdoors and on any non-flammable surface like concrete. An attempt to ignite a dud again can go awry. So, refrain from doing so. Have water and extinguishers close by. Animals are scared of loud booming noises and can become anxious or afraid. Care for your pets by keeping them safe inside as they run the risk of running around (instinct) and may even hurt themselves. Don’t light fireworks near trees, plants, bushes, dry grass and houses/buildings. To save yourself all this work, you may opt for a professional fireworks display instead. Fireworks are a no-no on windy weather as they could start fires. It may be recalled that a house in Phoenix was reported to be partially damaged when neighbors in the vicinity lit off “rocket-like” fireworks late Christmas Eve. Those fireworks came bursting down the window of the house. News reports claim that the living room window was gutted and the embers burned parts of the citizen’s couch as well as other furniture. No casualty was reported though the launched fireworks had the potential to set the entire house ablaze, the house-owner was reported as saying. It was also reported earlier that dry conditions in Tempe have caused authorities to cancel fireworks on New Year’s Eve. The dry air in Arizona poses a potential setting for fires which may be triggered by fireworks too.